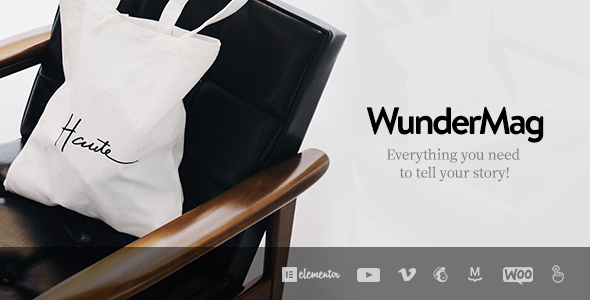 Meet WunderMag, a fresh-faced stunning multi-purpose blog / magazine & shop WordPress theme. It is ultra professional, smooth and sleek, with a clean modern layout and itâ€™s extremely easy customisable. WunderMag offers great user experience for almost any need and it is perfect for fashion, lifestyle, travel, food, craft and many other creative blogs.